hennemusic is pleased to deliver a live stream of AC/DC with Axl Rose from Esprit Arena in Dusseldorf, Germany. 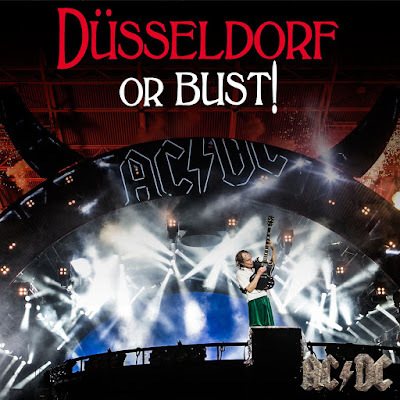 It’s the 13th and final date on AC/DC’s spring tour of Europe, which kicked off with the debut of Rose in Lisbon on May 7 at center stage in place of Brian Johnson, who stepped aside from live performances in March on the advice of doctors in order to prevent further damage to his hearing. Rose will rejoin the band the band this fall for the rescheduled US Rock Or Bust dates. The live feeds can be viewed below. NOTE: hennemusic is tapping into LIVE streams as they happen and many users are dropping on or offline during the concert; we continue to monitor things in an effort to provide fans with an active link during the show. Hit REFRESH to see the current status of the online links.